Who in their right mind doesn’t have a love for food? Yes I realize that those who struggle with eating disorders may have a different view about food but thankfully I have never had any type of eating disorder. I do however have a long list of other disorders. But let’s stick to the subject at hand here shall we? I love everything about food…except having to shop for it as I have written before. I watch endless amounts of cooking shows to help improve my culinary skills. I even save some of them to my DVR to have reference to when needed. I have so many recipes pinned on my Pinterest that every time I try to look one up I spend more time scrolling to locate it then I actually do preparing it. 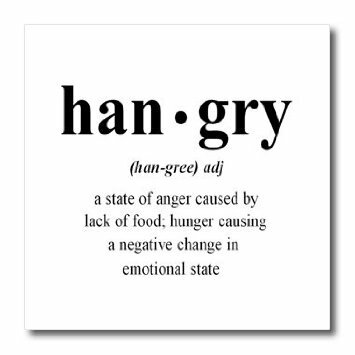 If I am hungry then I also get super cranky and become a crazed lunatic angry human in 2.5 seconds if food does not quickly come in contact with my mouth. I am talking PMS related cranky with a side of psychotic behavior….more then my usual psychotic conduct. And if we go to a restaurant and there is too much of a wait I will insist that we get back in the car and drive to another location…which yes I realize is a catch 22 because sometimes it can take longer deciding where else we want to go and then traveling to said destination instead of just waiting at the first preference. My favorite food to inhale indulge, until I have to unbutton my pants, is Sushi. Here in Nevada we are a bit spoiled because most sushi places in the city are “all you can eat”. And I consume well over my “all you can shove in your mouth eat” price. Even talking about it right now my mouth is literally watering. **wipes drool off the keyboard** My Little B Man loves it too. I ate sushi during my entire pregnancy…yes I know they say you aren’t suppose to but what do you think the Japanese do? Stop eating sushi while pregnant? Heck no and look how smart they are. Little B Man is well above his age spectrum as well and literally will take a raw piece of salmon and shove it in his mouth just like his mama. I really don’t know if his being smart, and me eating sushi while pregnant, has any relation but I was simply stating he came out fine. Now as for the loving food but not wanting to be fat is simple. It has nothing to do with looks but more with health. I have a long line of “weight related” illnesses in my gene pool and well I really don’t want to be another statistic. This is the main reason I have recently decided to make a change and start exercising. I really don’t eat much bad food. (wine doesn’t count) But I am falling short on being more active. This doesn’t mean that I constantly deprive myself from “goodies” but I believe everything should be within moderation….again wine doesn’t count. Bwahahaha on that last part! Blow jobs – are they considered exercise?? Thanks love! I truly loathe grocery shopping. Actually it’s not the actually shopping…it’s the putting in the car and then having to haul it into the house and putting it away that’s a true pain in the arse! I get super cranky too when I’m hungry. I’m learning to snack healthily in between meals to stop all hell breaking loose, it sometimes works.. I love food and I really don’t see the point in depriving oneself of all the good stuff but moderation is definitely key! I’m so jealous you have all you can eat sushi – I’ve only been to one place like that once. We ate so much and one of the girls I was with ate too much so she threw up haha! One of these times we will have to meet in real life since we aren’t far from each other! Definitely that would be fun! Oh my god I LOVE SUSHI! Though we live at bit in the sticks so there aren’t many around but like you I went a bit pregnancy craving mad and scoffed a lot of Californian handrolls (my fave)…don’t recommend taking the chance but the cravings were just too much for me. Anyway going with fish sticks or cooked meat versions is a compromise.